Toasting mashmellows on an open fire? Telling ghost stories by the campfire? Or maybe it's an uncontrolled forest fire.... or devil has arrived YIKES with fire breathing dragons! Here are 5 different fire animations to ignite your imagination! I totally love this one. It's so realistic. I was working on a tag and thought this would look perfect with the little kitty. What do you think? This is a scrap kit by SkyScraps called All The Lovers, which can be found at SATC. 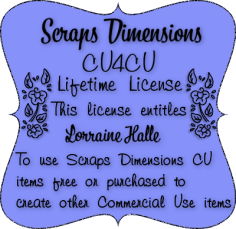 I'm using scrap kit ScrapDD_IB-PinUpToons-161-2 made by Dee's Sign Depot, which you can find at CDO Store. I made this tag for Dee. I was working on a tag and found myself needing a lake with mist and/or fog rolling on it. So opened up Particle Illusion and made something for my tag. I was also going to add a fire breathing dragon, but when I did, I noticed it really took away from the lake effect so I removed it. I've still included the fire in the set event though it's not on my tag. I used the lake animation(296) plus the steam pool(298) to get the effect in the tag. 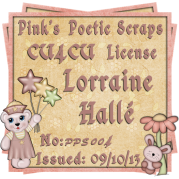 I'm using a scrap kit by Angelica S. It's called Woodland Magic and you can find it at SATC. Sending out a big thank you to all those that share their awesome tag creations using my animations. I just LOVE seeing what you all come up with. So fascinating! Sharing a few that have recently been sent to me. Only the bottom sparkle animation is mine. The musical notes are not. These are just so cute! Was really excited playing with these and doing my best to keep them at 20 frames each, yikes! lol Almost impossible but I did finally manage to get them just right. Made a tag using art by Amy Matthews who sells at CDO store and combined it with Bibi's scrap kit "Irish Town". I used animations 294 and 295. Here is the tag I made, using Bibi's Collection scrap kit Irish Town and the lovely art of Amy Matthews. I used a combination of two animations, Ani289smaller and Ani290. Hope you all had a wonderful week and a Happy St.Valentine's Day. I got busy in Particle Illusion again this week and I've made several more animations. I'm trying to group them into themes but sometimes I jump from idea to idea and it gets messy.